I’ve always wanted to be the kind of girl that can get away with saying ‘y’all’. 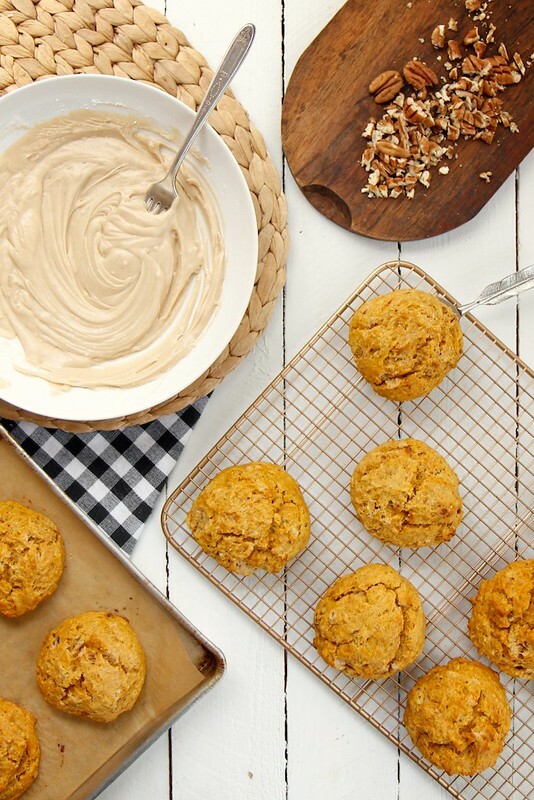 You know… like, ‘I made Pumpkin Scones, y’all!’. Being from California, I feel like I can only reasonably get away with something like, ‘Hey dudes, I made you these Pumpkin Scones! Now, let’s go surfing.’ Mostly annoying, but kinda true. I’ll just daydream about being a ‘y’all’ girl. It’s cool. In real life I get to mega-indulge in scones, so being a ‘dude’ girl is just fine. I’m just steps away from ‘bro’. Lordy…. clearly I need help. This recipe is October-inspired and super-spiced. 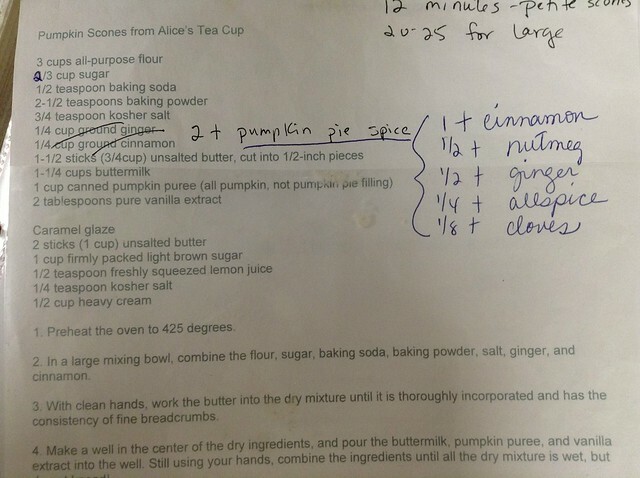 I’ve struggled for a few years to find the proper pumpkin scone recipe. It’s hard to get the moisture proportions right… dorky but totally true. I think we’ve nailed it, friends! Well… thanks to Donna. 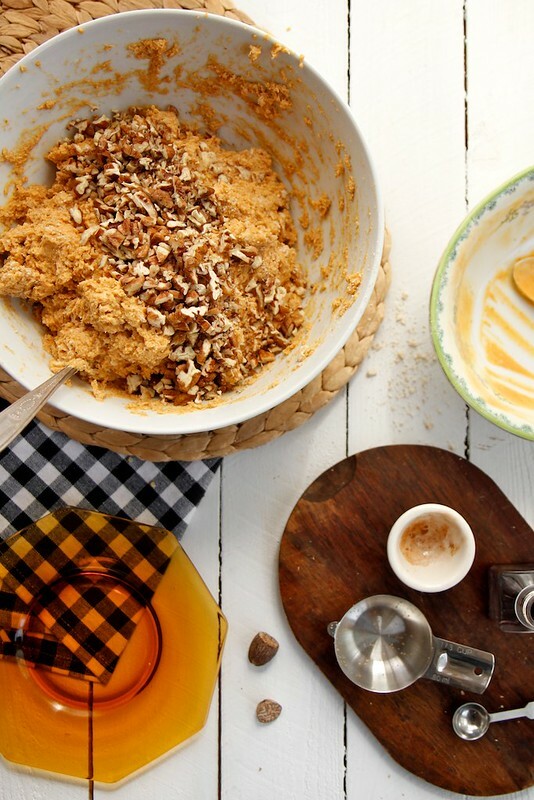 When you ask for a recipe and it comes at you like this… you can bet it’s going to be major! Thank you for sharing, Donna! These scones come together in two ways. First, cold butter is broken down into a flour, sugar, and spices. Next, pumpkin puree is mixed with buttermilk and vanilla extract. Wet ingredients are combined with dry ingredients. That old song and dance. Pecans, too! Let’s add those! We’re going to need some glaze. Brown Butter Glaze, to be exact. 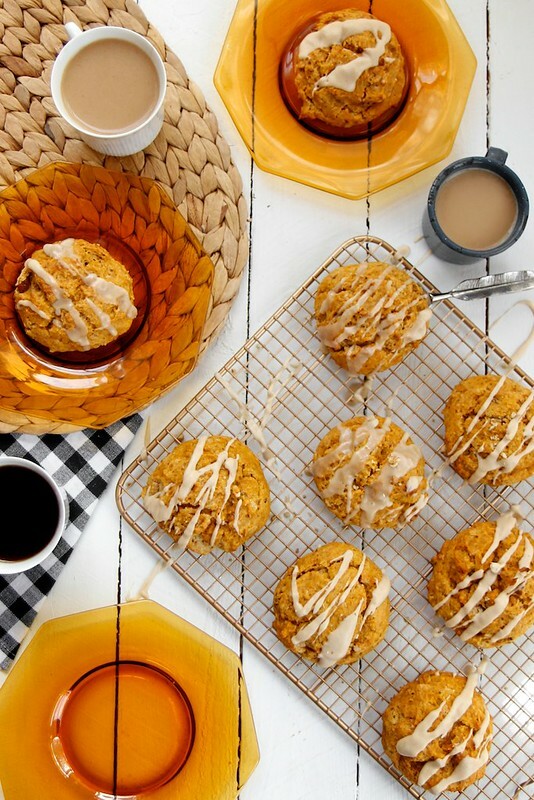 Lightly glaze the scones with Brown Butter Glaze and YES! It’s like we’re doing everything ever right. These little scones satisfy so many of my October pumpkin cravings. The scones are super-spiced and mega-soft. 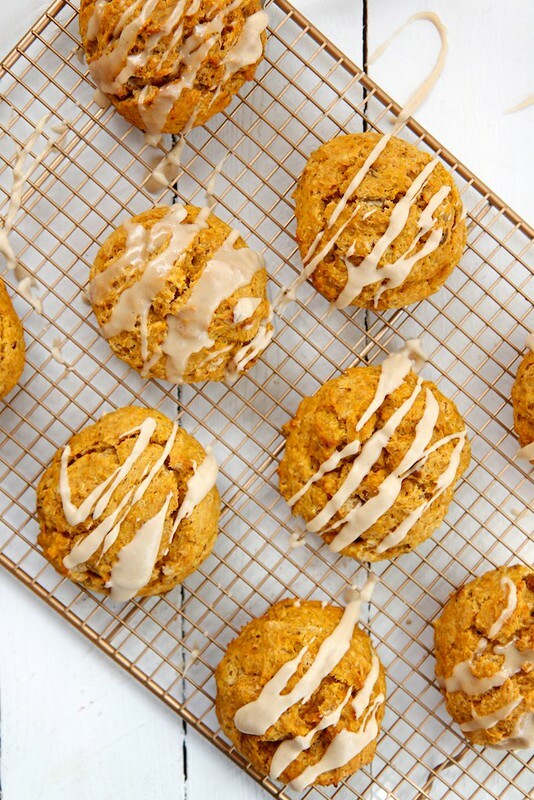 It’s like eating a soft pumpkin cookie for breakfast. The pecans add a nice toasty crunch, while the glaze adds a nice dose of sweetness. They’re beyond! Oh! 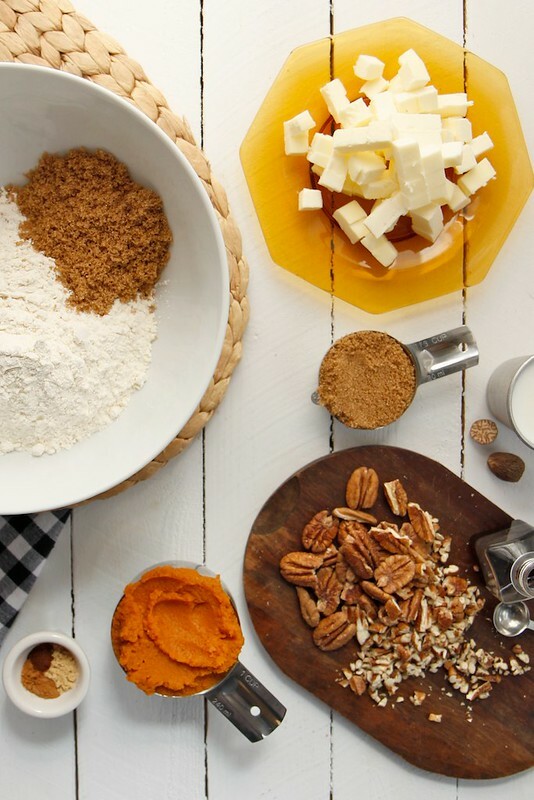 While we’re talking about pumpkin and such… let’s make Pumpkin Pie Spice. Yes, it’s time. Also, maybe with your extra pumpkin puree you’ll want to make Pumpkin Pie Bars. Let’s just not fight it. Add the wet ingredients, all at once to the dry ingredients. Stir together until almost thoroughly combined. Add pecans and stir until no dry flour bits remain. Using a large ice cream scoop, scoop scones dough by the 1/2-cupful onto the prepared baking sheet. Leave about 2-inches of space between each scone. Generously drizzle scones with glaze. These scones are best served within 2 days of of baking. That glaze is absolutely fabulous!! Looooove! Looks delicious! 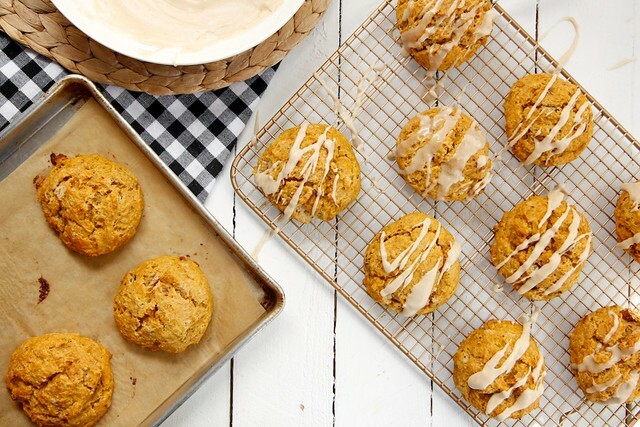 I’m all about scones, so these are right up my alley! Here in New England we are all about anything “fall.” Even though I was born and raised in San Francisco, I have lived here long enough that I can embrace “wicked” as in these are “wicked awesome scones” Joy. We go on a pumpkin and apple marathon from September to Thanksgiving. I will add this lovely recipe to the repitoire. Thanks! i would now like to add ‘wiked’ to the list of things i wish i could say. You definitely can’t get away with y’all if you have a British accent, it sounds totally ridiculous, much to my great sadness. Luckily then that these scones of deliciousness make up for that! I’m so jealous of all you people who get pumpkin puree so readily. On another note, I want to be a y’all girl too. Fried chicken, biscuits, fried fried fried…. chowder… I can live happy. you could roast pumpkin in big batches and puree it! kind of a pain… i know. Great idea to roast your own pumpkin. I’ve done it, it’s great! Most of what we buy as pumpkin puree is actually squash, anyway. I abuse the usage of both y’all and dude so I say go for it. 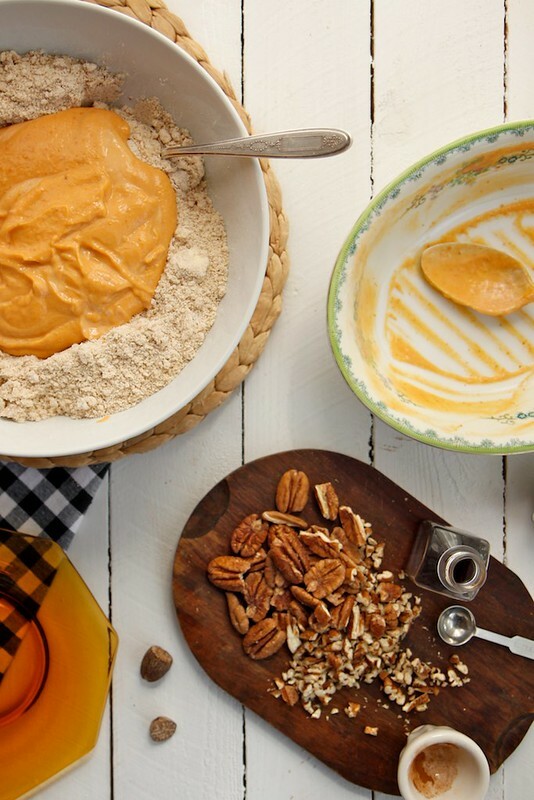 Let’s make pumpkin everything y’all! Starting with these scones-they sound amazing dude. Rad. i’ve got RAD on lock. Need this in my life! Thanks for sharing! 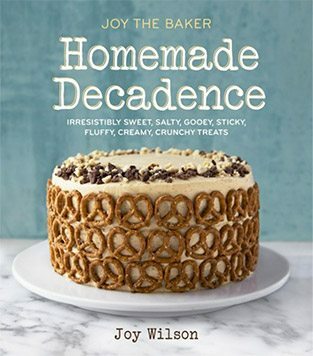 Love the recipe joy! So pretty with the glaze too. So many beautiful images to choose to pin from, love them all, Joy! And yes, dude, surfing, bro – it’s the SoCal way! I’d love to have one of these now. Normally I avoid scones b/c they’re typically so dry but these look so moist and delish!